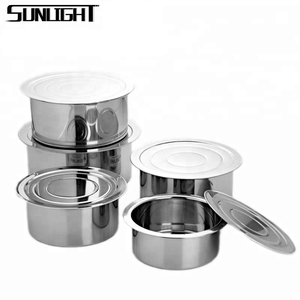 410 stainless steel cooking pots set indian cooking utensils with lid Item No. 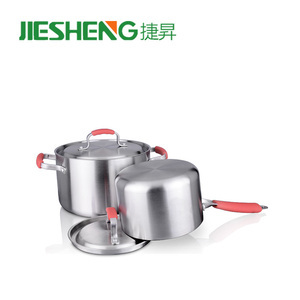 2.Stackable cooking pot sets,easy to clean and save the space. 2.If you want to import some products to test the market, we can lower the MOQ . 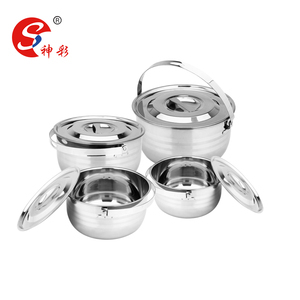 &bull; Aluminium Induction Tope Color: Silver, Material: Aluminium, Height: NA" Inch, Diameter: NA" Inch, Volume: 1.5 ltr, 2ltr , 2.5 ltr , 3 ltr , 3.5 ltr ,4.5 ltr Available, Weight: 735 Gram &bull; Induction friendly Suitable for all heat sources Aluminium induction friendly prevents food from getting burnt Facilitates fast cooking . 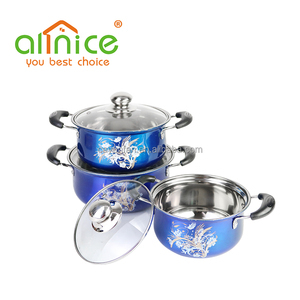 Excellent quality, easy to clean and hygenic. What kind of products are displayed. We have very professional line and stuff who is making nice quality in short time. 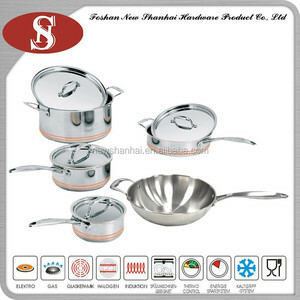 3)Main produce stainless steel cookware, aluminum non-stick cookware. What can i do for you9 1.The specification and composition can be made according to your requirement. We have been adhering to the principle of Credibility, Quality, Sincere, Services. But the exact delivery time might be according to different orders or at different time. The price here is just for your reference, specific price is based on your order quantity. 2. How to know the item price9 If the items showing on our website, please just tell us the item no. If we get an order from you ,we will consider if we can refund the sample fee to you. But for some items with small quantity and simple process, it can be delivered earlier before the deadline. 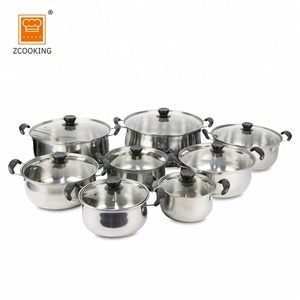 Chaozhou City Chaoan District Inti Daily Necessities Co., Ltd.
Jiangmen Xindongjin Hardware Products Co., Ltd.
Q: What equipment is used in Indian cooking? A: Cooking equipment is feasible to cooking utensils , but cooking utensils is a general knives , forks , spoons etc . And your computer will like , blender , chopping board etc i believed . 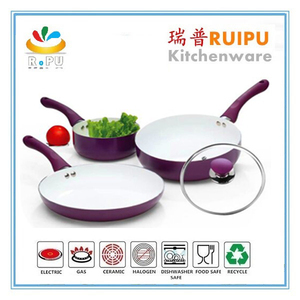 Q: What is the difference between the cooking utensils and cooking equipments? A: Cooking utensils are items as forks , spoons , slotted spoons , flipper , rubber scrapper . Cooking your computer will items as a mixer , blender , food processer , hand mixer . Equipment is electric items . Q: How many cooking pots do people own? 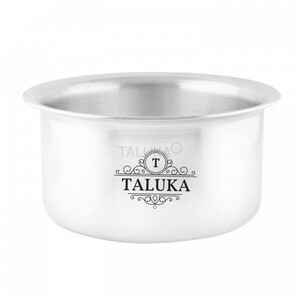 A: A cook pot is a circular issued metal structure that allowing you to cook different items .